Bankview is home to some of the most exciting architecture in Calgary, with unique features and striking designs that are hard to miss. Filled with several varieties of single-family homes and San Francisco-style apartments, this beautiful neighbourhood is as attractive as it is diverse. Bankview is also home to stunning panoramic views of downtown. Learn more about Bankview homes and real estate below. Bankview boasts a mix of older homes and brand new developments, which often include investment opportunities in buildings that haven’t been completed. Bankview real estate is in proximity to great recreational amenities including pools, golf courses, arenas, museums, public tennis courts, and the Alexander Calhoun Library. The local community centre serves as a hub for activity, offering everything from baby groups and taekwondo to dog obedience school. There are dozens of parks within proximity to Bankview, and the community is less than five minutes from the Bow River and downtown Calgary. This incredible location helps Bankview residents stay connected, fit, and entertained through hours of public activities. 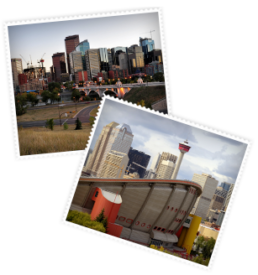 Bankview is one of Calgary’s oldest communities and has a bright historical background. This is celebrated annually at the September Heritage Day festival, with historic walking tours. Bankview residents benefit from the local organizations, including Block Watch, Block Parents, Scouts, Guides, and the Boys & Girls Club. We’d love to help you explore Bankview real estate opportunities and invite you to contact us today to get started on finding your dream home.